TIRUMALA, Sep 23, 09: The 1997-Batch IAS Officer, Sri N.Muktheswara Rao, the Endowment Commissioner, Govt. of AP, sworn in as the ex-officio member of TTD trust board on monday. 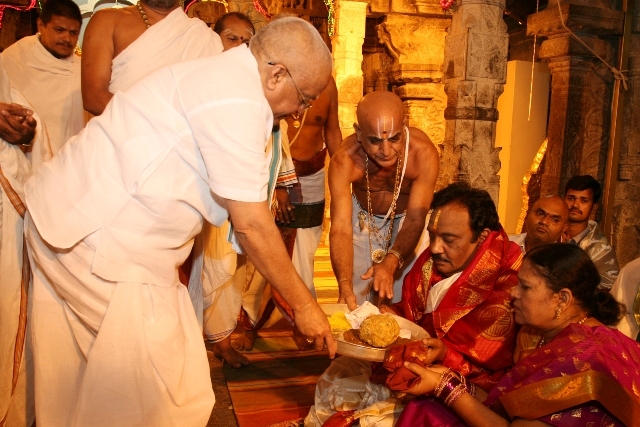 The TTD Executive officer Sri M.G.Gopal administered the oath of office to Sri Muktheswara Rao at the Bangaru Vakili of Tirumala temple on monday morning at around 6.25pm. 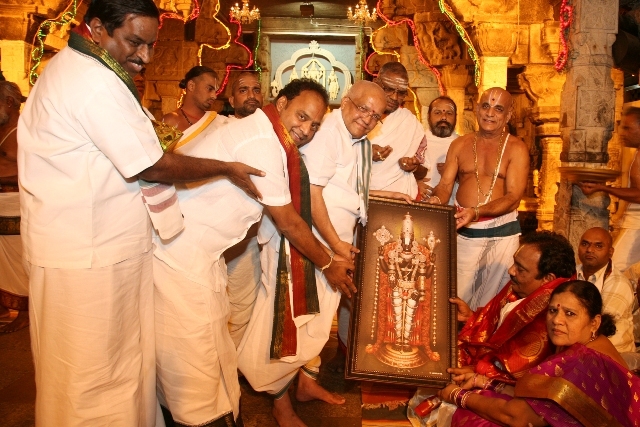 After fulfilling the formalities, Sri Muktheswara Rao offered prayers to Lord Venkateswara. 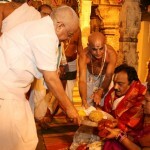 Later the vedic pundits offered Veda Asirvachanams inside Ranganayakula Mandapam. TTD EO offered prasadams and Lord’s Photo to the new ex-officio member. 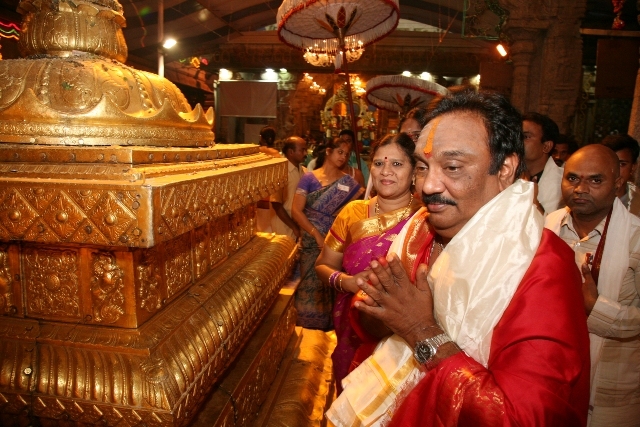 Later speaking to media persons after coming out of the temple, Sri Muktheswara Rao said “This is a divine opportunity to serve millions of devotees who come to Tirumala to have darshan of Lord Venkateswara. The TTD as well as the Trust board will work together to provide better services to the visiting pilgrims”, he added. TTD JEOs Sri K.S.Sreenivasa Raju, Sri P.Venkatarami Reddy, Temple DyEO Sri Chinnamgari Ramana, DyEO Sri Munirathnam Reddy, and other officials were also present.